Dental bridges and permanent bridge implants act like a false tooth as they are placed between two crowns to fill in the gap left by missing teeth in order to look like a natural tooth or dental implant. They literally act as a bridge between two teeth. Bridges are an alternative to dentures and allow you to speak and chew properly. They also eliminate cosmetic issues and prevent your natural teeth from drifting out of place because of the gap. If you are currently facing a dental emergency, whether it be a dental bridge issue or another problem, you can use our 24/7 dentist hotline to get immediate help. Our hotline is free, offers fast service and is easy to use. 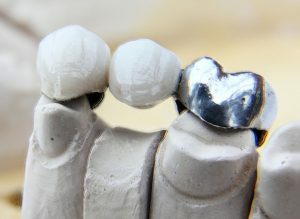 Traditional bridge: Crowns are placed on either side of the gap and a replacement tooth is attached in between. 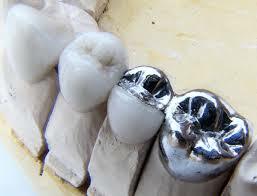 Traditional bridges are common and usually made from porcelain fused to metal or ceramic material. Maryland bridge or Resin-bonded bridge: Metal wing on each side are bonded to the natural teeth and the space between is filled with plastic teeth and gums made of metal framework. Cantilever bridge: Similar to traditional bridges, but are used when there is an adjacent tooth on only one side of the bridge. “Dental bridges are a wonderful solution for replacing missing teeth when there are natural teeth remaining on either side of the space. However, nothing man-made lasts forever. Even bridgework that was placed by the most skilled clinician will eventually require replacement sometime during your lifetime. It usually takes at least two dental visits to place a bridge. During the first visit, the teeth that will serve as the anchors for the bridge are prepared with contouring to allow room for a crown to be placed over them. Then impressions are made to make it easier to construct the bridge and crowns. A temporary bridge is then put in place. During the second visit, your temporary bridge is removed and the new permanent bridge is placed and adjusted. In some cases, a bridge is sealed with temporary cement so the patient can determine the fit and how things feel over the course of a few weeks. Adjustments are made in follow-up visits and then the bridge is permanently sealed into place. Dental bridges are common and the problems that come with them are also common. Though they can be a great way to correct dental issues, there are a variety of things you should know to help you care for your bridge. Perhaps the most important thing you can do to help you prevent problems with your dental bridge is to have it placed by a qualified professional. Make sure you visit a reputable dentist and ask if he or she has experience with bridges. Seeing unqualified dentists to have a bridge seated can create a variety of problems. They might not use quality materials or might improperly place the bridge, which can cause it to break or crack after just a few months. It’s a relatively common dental treatment, but it’s still important to know that the person placing your bridge has experience. It’s also important to ensure your bridge is custom-fit to your mouth. Again, a qualified dentist will be more likely to do this than one who is unqualified. When a bridge fits poorly, you can experience many of the same uncomfortable problems as those with ill-fitting dentures. For instance, bridges can irritate your gums and cause boils and infections if not fitted properly. They can also be distracting, which might not seem like a serious problem, but nobody wants to spend the next 10 or 20 years rubbing their tongue across something unusual in their mouth. You have a great deal of control over how well your bridge functions and how long it lasts. 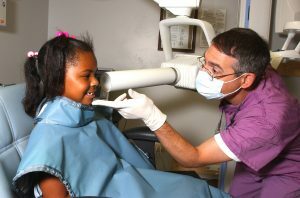 The better you care for your oral health the lower the risk your bridge will break or you could suffer from gum disease. Bridges are not designed to last a lifetime but with good oral hygiene, most will last at least a decade, usually more. Just because you have a “false” tooth or teeth doesn’t mean you can neglect your oral health. 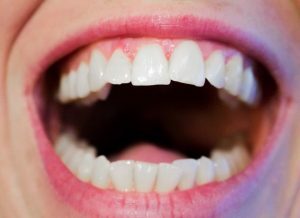 You need to brush, floss, and tend to your routine dental care just as you would if you had a mouthful of natural teeth. An important part of your dental health is your diet. The foods you eat and beverages you drink affect your bridge as much as they affect your natural teeth. To ensure your diet does not have an effect on your oral health, limit your intake of soda, juice, and sweetened drinks, and don’t eat too much candy, especially sticky varieties. You’ll also want to avoid direct contact with dark foods and drinks because they will stain your bridge and natural teeth. The years pass for your teeth, and your bridge, just as they pass for you. As age-related changes occur in your body they also occur in your mouth. 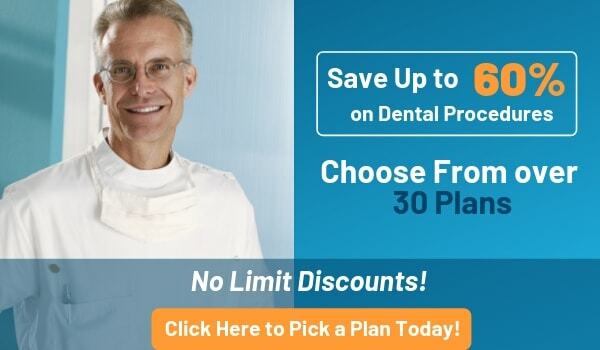 One of the most common reasons people need to have a dentist replace a dental bridge is due to its age—they just aren’t designed to last forever. 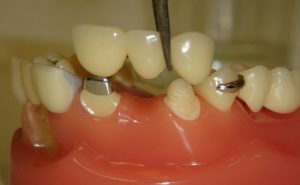 It’s possible for a bridge to last a very long time—up to 10 to 15 years or more—with proper care, but don’t be surprised if your senior years bring a few unexpected challenges when it comes to your bridges. How do I eat with a bridge? Eating with a bridge is no different than eating with your natural teeth, though you might want to avoid sticky, hard foods—something that’s a good idea anyway with natural teeth. You might want to eat soft foods until you are used to chewing with your bridge. Can I speak normally with a bridge? Yes, once you are used to it. It might be a bit of an adjustment initially, but most people report feeling as they naturally did before the bridge. Are there any special care instructions for bridges? You should care for your bridge as you do your natural teeth. Brushing two times per day, flossing, and attending routine dental checkups and cleanings. Your dentist might give you additional instructions concerning the immediate care after the placing of your bridge, but once you are given the “all clear” you can treat your bridge as you would your natural teeth. Bridges are not removable, like dentures, and they do not require any special cleaning other than your usual oral hygiene routine. If you need to speak to a qualified dentist or you are in need of dental care in an emergency, we can help.Use our contact form or call us toll-free at the number provided for more information.